focuses more on the functionality, design and form of a software system rather than the actual programming and development of the system itself. Software designers often work directly with clients to determine their needs. Designers try to find ways to streamline the process of working with a software system for the end user, and try to make the experience more user-friendly and enjoyable overall. Software designers usually don’t program themselves and they may not test the program themselves. Instead, they will go through the software tests, evaluate comments and attempt to find solutions to various problems that may be noticeable in the program’s design. A software designer will concern themselves more about the actual usage of the program rather than the program’s core structure, and they differ from developers in that they may not necessarily be in charge of a team or in charge of the development. According to the Bureau of Labor Statistics, those with a focus in applications will usually have a mean wage of $87,900 annually. What Does a Software Designer Do? A software designer will usually work with a developer to work out the best ways to create a platform that provides all of a client or company’s needs. Software designers will usually not manage the same things that developers do, such as project milestones, but will instead advise the software developer on what they need and the resources required to build it. Software designers may also work with software programmers closely to determine what can or cannot be done within the system. Designers usually won’t be programmers except in very small development teams, which means the designers themselves will often act as a layer between the clients and the programmers and the developers and the programmers. Due to this, the designers need to be extraordinarily good at collaboration and they need to have excellent time management and project management skills. Designers may need to take initiative and they will often be called upon to advise different parts of the team. They may also be called upon to advise on revisions to programs and to speak with product testers about any issues inherent to the applications. How Do You Become a Software Designer? Software designers usually acquire a Bachelor’s Degree in Computer Science or Information Technology. They usually have a focus on development as well as programming, and many of them have prior experience within the industries. Software design usually isn’t an entry-level field, and many people will need on-the-job training to truly excel in the position. A software designer may also need to be certified in certain types of technology or in project management. Software design is usually only found in larger corporations, as smaller corporations usually only use programmers and developers. Programmers can move into software design if they are shown to have the knowledge and the skill to take over the position. Similarly, project managers and developers can also access this field. How Do You Advance as a Software Designer? The easiest path towards advancement as a software designer is towards a position in software development. A software designer already performs many of the functions of a software developer but with less responsibilities and less likelihood of commanding staff under them. 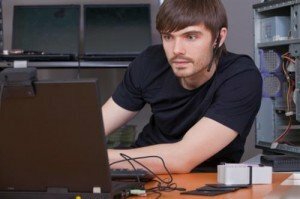 Software designers can also create their own companies, and some of them can move into related fields such as computer system analysts or web application development. It is rare for any of these fields to have less than a Bachelor’s Degree, as seen on O*Net Online, which means a software designer without a Bachelor’s Degree should acquire one before advancement.